The scientific work that I have done in my life, such as inventing the ECD [Electron Capture Detector] and developing Gaia Theory are very closely related to green politics and green philosophy and yet, instead of being a whole-hearted supporter of the green movement and joining in their campaigns against nuclear power or genetically modified food, I find myself in very much the same position as George Orwell did vis-à-vis the socialism of his time. One's only to read Animal Farm to see the doubts and scepticism that he had. Like George Orwell I saw, see the benefits and the good things about socialism. I'm a passionate supporter of the health service, particularly as it was, but I'm also aware of the problems and I think in some way they're sort of linked. I think much of the distortion of the green movement's wish to be representatives of a better Earth, of our living better with our planet come to grief because their origins were in CND [Campaign for Nuclear Disarmament] and the nuclear disarmament movements. They inevitably grew to look on anything to do with nuclear power as evil and harmful and as a consequence, they've neglected to note that is the one major power source that was available to us that doesn't pollute the planet to any conceivable extent. I don't agree with their… the fuss there is about the disposal of nuclear waste and have offered to take here on my site the full output of high level waste from any nuclear power station that likes to send it here. I would see that it was properly buried in a concrete pit and use the heat from the nuclear waste to keep my house warm. What a waste not to so use it. But be that as it may, it will never happen because the local council will never allow it nor public opinion generally. But that's how I feel about, and I imagine that in 50 years' time, when the effects of the greenhouse are really upon us, that many will be saying what a shame it was that we were so against nuclear power back in the 20th century. 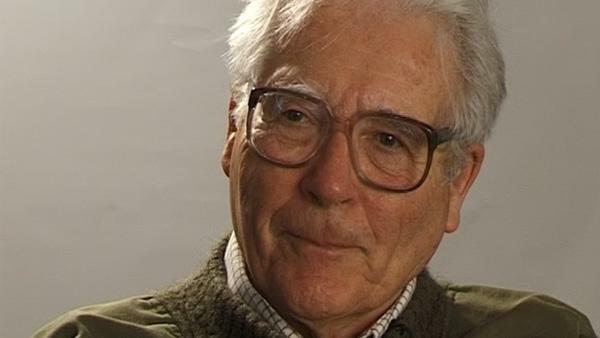 Born in Britain in 1919, independent scientist and environmentalist James Lovelock has worked for NASA and MI5. Before taking up a Medical Research Council post at the Institute for Medical Research in London, Lovelock studied chemistry at the University of Manchester. In 1948, he obtained a PhD in medicine at the London School of Hygiene and Tropical Medicine, and also conducted research at Yale and Harvard University in the USA. Lovelock invented the electron capture detector, but is perhaps most widely known for proposing the Gaia hypothesis. This ecological theory postulates that the biosphere and the physical components of the Earth form a complex, self-regulating entity that maintains the climatic and biogeochemical conditions on Earth and keep it healthy.